Fonterra is hoping to make waves in the sports nutrition industry by launching a new protein ingredient claimed to deliver at least 10 per cent more protein than other standard whey protein offerings. Designed for use in sports drinks and energy bars, Fonterra says the new protein ingredient is “faster acting, as well as being lower in fat, sugar and carbohydrates than other similar protein products”. 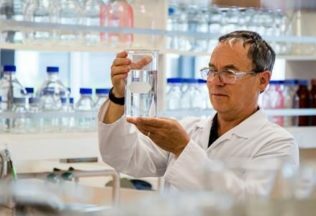 Fonterra Lead Technologist, Neil Fraser, said, in what is believed to be a world first, lactic casein whey is used to make the protein ingredient. “People are taking more interest in their diet and health, which means as the awareness of the benefits of protein goes more mainstream, sports nutrition is no longer just for exercise fanatics,” said Fraser. He said that the protein has been developed and introduced to market in less than a year. “It is a good example of getting more value out of our farmers’ milk by producing higher-value products,” said Fraser. Fonterra said one of the US’s largest producers of sports nutrition drinks has already made orders of the protein and that there is also interest from Japan.